A little while back I used to work in the spa/health industry which allowed me to get involved in some fantastic skincare training that has given me a better understanding of the ingredients and the science behind products themselves. I'm by no means a skincare expert and of course all of our skin types are different meaning that something that could work for me might not work for you and vice versa! However, I've been using a little miracle worker recently and wanted to talk more about it's ingredients and why they're so great for sensitive/stressed skin. I'm not a huge fan of mushrooms when it comes to eating them, but in my skincare I can't get enough. I'm pretty sure I use this face mask more than I should, but I'm obsessed with the results and how the redness on my skin instantly vanishes before my eyes. Mushrooms contain an array of benefits for your complexion. They are packed full of vitamins and antioxidants, which boost the overall health and appearance of your skin. 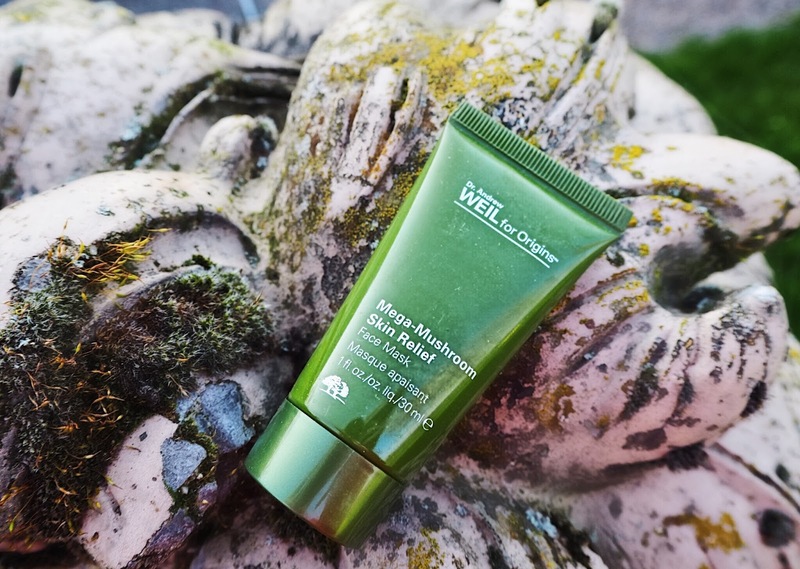 The Dr. Andrew Weil for Origins Mega-Mushroom range is a super duper skincare regime that harnesses the benefits of 'miracle mushrooms' - Reishi, Cordyceps and Chaga all of which were discovered by Dr.Weil during his travels around China. This effective, soothing and potent blend of mushrooms with over 7000 years of use works wonders to promote healthier and happier skin. Whenever my skin is red or in need of rescuing I reach for this miracle mask, which works effortlessly to restore a calmer complexion. If you suffer with redness or stressed skin, I would highly recommend stopping at your nearest Origins counter to get some samples! Superdrug Haul | Skincare & Tanning Treats!